AZOWATO.COM allows you to outsource or entrust digital tasks to independent professionals called freelancers. For example, the creation of a logo, a website, etc. It puts in touch Internet users who wish to perform digitized services online for a fee and those who are looking for self-employed workers to perform certain specific tasks. All available microjobs start at €4.57 (or $5 or CFAF3000). We offer a microjob platform adapted to the African context and open to the world. 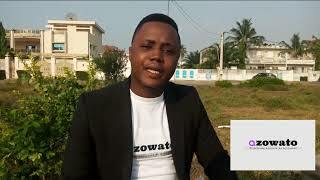 AZOWATO has the particularity to be bilingual (English-French), to offer 5 currencies (F CFA, $, €, NGN and GHS) to choose from and to offer several payment methods including Bank Transfer, Tigo, Mobile Payment, Wari and Paypal. It is ergonomic and easy to use, with additional features that make it easier to connect the two categories of Internet users targeted. The process of purchasing a microjob is easy to understand and clearly described on a page called “How does it work? ». CEO of the start-up AZOWATO and Web Project Manager in a web communication agency. My slogan: "Make freelancing the best solution against unemployment in Africa".